We all love Airodump-NG! I am personally a fan of the entire Aircrack-NG tool suite and the fantastic work done by Mister_X over the years. As most of you know Airodump-NG can export the scan data as a CSV or a Kismet compatible Netxml file. 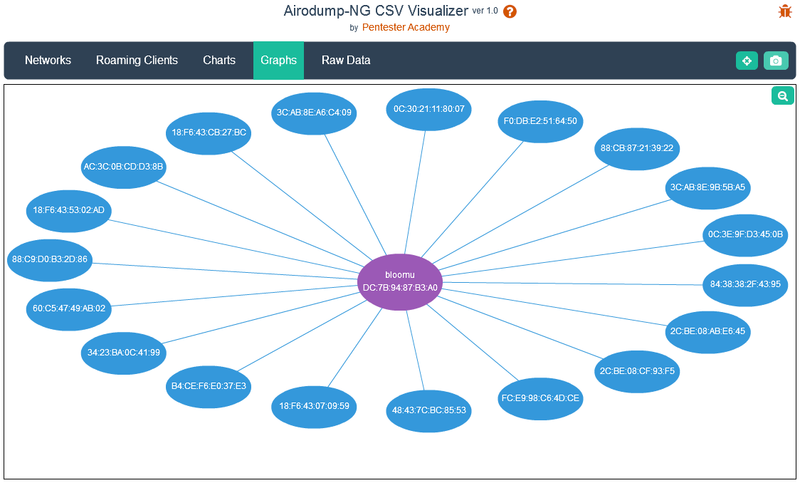 The Airodump-NG Scan Visualizer takes this CSV file and allows you to filter and play around with this scan data in interesting ways. 4. Filter Query shown live! We know Pentesters need screenshots for writing reports so we made taking screenshots just a click away! 9. LIVE Mode - visualize data live from Airodump-NG! and many other cool features! This tool converts 802.11 packet traces (PCAP format) into an XML and SQLITE equivalent so you can now run XPATH/XQUERY/SQL queries on the packets. Of course, this is by design. Wireshark is a packet capture tool and not a data analysis platform. This is where Pcap2XMl/Sqlite comes in! We map every header field in an 802.11 packet to an XML and SQLITE Equivalent. Once we convert every packet into these formats, it is extremely easy to run analysis tools on them as you shall see in latter part of this post. Where can this tool be used? As you can see in the previous section, the tool has created sample.db and sample.xml. Macro Stats - Get the inter-packet time delta! ... there are tons of such examples possible as you can see. Can you outline some of the other interesting features? We highly recommend you check out the video tutorials we are making on this tool. How are the 802.11 headers mapped to XML and SQLITE? 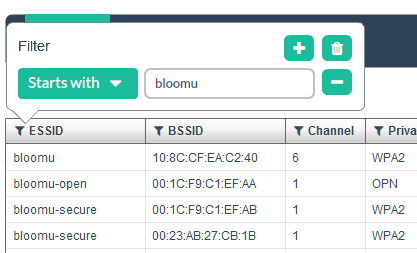 In version 1.0, we are only mapping the 802.11 MAC Header for all frames (Management, Data and Control). Future versions will have all frames mapped apart from the Data frame payloads. I need an output in other formats e.g. CSV, JSON, MySQL etc. We chose XML and SQLITE because one could easily write simple tools in Python or other languages to convert this to other formats. At this time, we have no plans to support any other format. What is the feature roadmap? Is the tool open source? The tool will always be free to use but currently the source code is not public. We might change this later once we feel the tool is stable enough for collaborating. The tool is digitally signed with our certificate for authenticity. Where can I Download this? are there any Tutorials/Documentation? Download link and Video Tutorials are available here!